The traditions and purpose of the Feast of Lanterns are held near and dear to the residents of Pacific Grove: To further and enhance the culture, history, and heritage of Pacific Grove through civic and cultural activities including the annual Feast of Lanterns festival. It is an year around process to plan each year's celebration. The Board is working diligently to bring you and your family the best possible Feast with fireworks! We are moving full speed ahead and hoping that with our enthusiasm, and your help, we can continue to bring our community this traditional celebration. It takes a lot of people and money to put on the Feast of Lanterns. There are many ways individuals, vendors, and businesses can help bring the events to Pacific Grove. The Board of Directors is totally responsible for raising the necessary funds and it is a very difficult task. Two ways we raise funds are through Donations and Sponsorships. We also need Partners to supply the necessary services for our various events. Lastly, it would not be possible to provide the many events without the people who volunteer and donate their time. We have a special event called the Beach House Brunch (with live and silent auctions) to fundraise for the Feast. We invited all residents, sponsors, and vendors to this event. Dates and times may be found on our Calendar page. To donate money, visit our Donations page, any amount helps. To donate services and time, visit our Partners and Volunteers pages. Sponsorships are available for several Feast of Lanterns events and support of the Queen, Chang, individual Princesses and Guards. Sponsorships provide the needed funds to present an event as well as provide advertisement for our local businesses and services. For further information on the many ways to sponsor, visit our Sponsorship page. Many events require the participation of local vendors to partner with us for services. 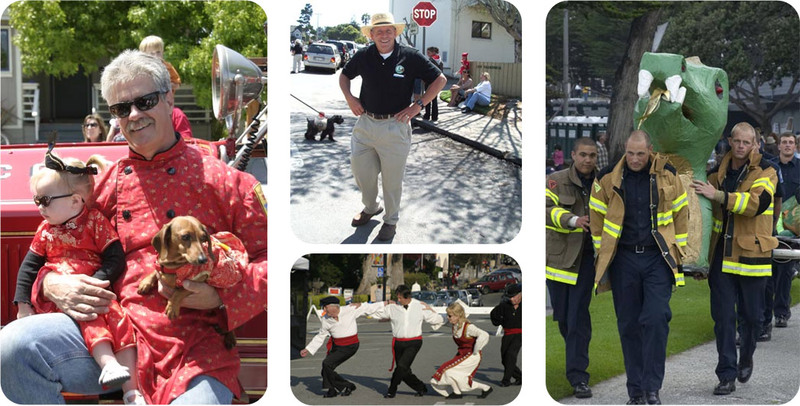 These include not only local services provided by the City of Pacific Grove, but local businesses that provide booths at the annual Pageant, food for the Feast of Flavors, and items for the live and silent auction. Visit our Partners page for further information on how you can become a Feast of Lanterns Partner. The credit for much of the success the Feast of Lanterns realizes must be attributed to the energetic volunteers who come together each year to bring the Feast of Lanterns to Pacific Grove. Without them, the “show” could not go on. This energetic group of more than 100 individuals works very hard to make each event an enjoyable success. If you would like to join the Festival’s fabulous team, we’d love to have you. There is so much to be done. For more information about volunteering please visit our Volunteers page. If you would like to contact us, please use the form on the Contact Us page or call us at (831) 800-1905. If you would like more information on the various events, visit our Calendar page or contact us for dates and times.